Whether you choose to spend an exciting Alaska vacation fishing for king and silver Alaskan salmon on the Kenai River, riding the Alaska’s Railroad, taking in a Alaska winter vacation or viewing Katmai or Kodiak brown bears, make Euro Alaska - Tours your first choice in Alaska travel! Should you choose to explore Alaska on your own instead of with one of our exclusive packaged Alaska vacations or Alaska tours, let the professionals of Euro Alaska - Tours make all your Alaska Vacation, rental car, RV, sightseeing tours and/or Alaska hotel or lodging reservations. 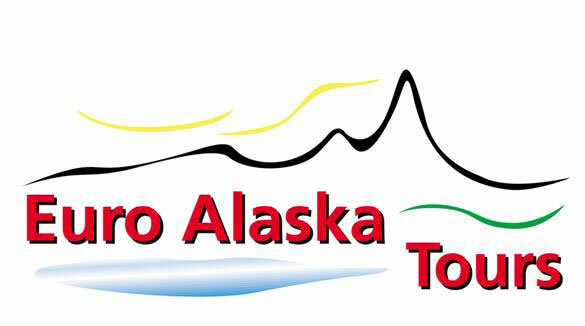 We can customize and tailor any Alaska tour. Enjoy one or multi-day horseback riding adventures. Kayak in Homer, Katchemak Bay or Prince William Sound. Go whale watching in Glacier Bay, near Gustavus,enjoy Alaska's wildlife.